Research in Search-Based Automated Program Repair has demonstrated promising results, but has nevertheless been largely confined to small, single-edit patches using a limited set of mutation operators. Tackling a broader spectrum of bugs will require multiple edits and a larger set of operators, leading to a combinatorial explosion of the search space. This motivates the need for more efficient search techniques. We propose to use the test case results of candidate patches to localise suitable fix locations. 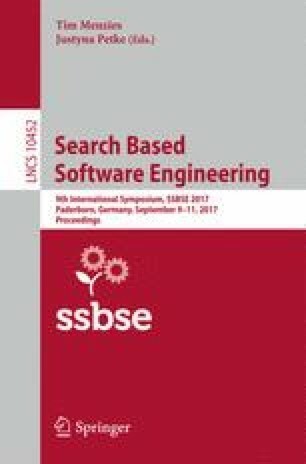 We analysed the test suite results of single-edit patches, generated from a random walk across 28 bugs in 6 programs. Based on the findings of this analysis, we propose a number of mutation-based fault localisation techniques, which we subsequently evaluate by measuring how accurately they locate the statements at which the search was able to generate a solution. After demonstrating that these techniques fail to result in a significant improvement, we discuss why this may be the case, despite the successes of mutation-based fault localisation in previous studies. This research was partially funded by AFRL (#FA8750-15-2-0075) and DARPA (#FA8750-16-2-0042), and an EPSRC DTG; the authors are grateful for their support. Any opinions, findings, or recommendations expressed are those of the authors and do not necessarily reflect those of the US Government. The authors additionally wish to thank the anonymous reviewers, whose comments were especially insightful and constructive.